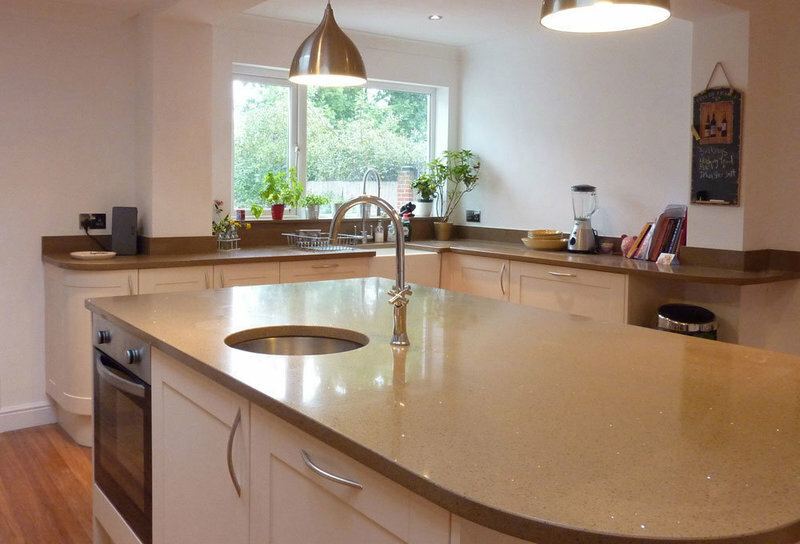 Inspired Projects is a building and refurbishment company, based in Chislehurst, Bromley. 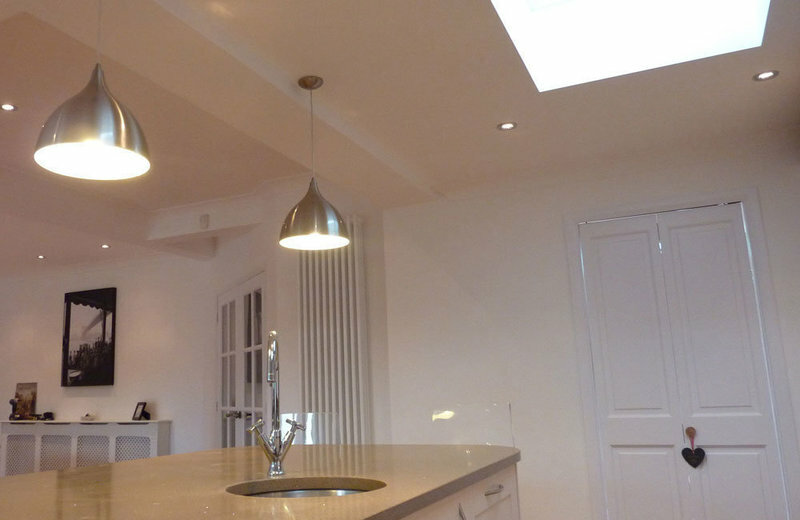 We specialise in extension projects, loft conversions and kitchen renovations including structural work. We have been in the industry providing excellent quality work since 2006. We have great experience in building and managing projects of all sizes. We are organised, quick to listen and are fully committed to achieving your ideas and exceeding your expectations. We used Inspired Building Projects to replace an old wood built rear extension with a new brick built one and reconfigure our downstairs space. We saw a number of builders but Mike inspired our confidence from his initial visit, both in terms of his approach and comprehensive and clear paperwork. He communicated very well and was very helpful in both solving problems as they arose during the build and providing helpful advice for us. The workforce he used were all professional and friendly particularly the two builders who were on site for the majority of the work. We elected to stay on site during the work and they could not have been more helpful in reducing stress to a minimum! The workforce was on site from 8.00am to 4pm for the duration of the project and no days were lost because people did not turn up. The work was completed to a high standard and liaison with Building Control ensured there were no issues at the completion of the project. There were no budget surprises - any additional costs arising from decisions about finishes etc. were discussed before work was carried out. The work was completed within the original timescale that was given. We have no hesitation in recommending Mike and his team. We met with a few builders when getting ready for our project but Mike stood out for his friendliness, professionalism and clarity. We knew we wanted to work with Inspired Projects as soon as we met him and have never regretted our decision. He has always been aspirational but pragmatic and helped us transform our ground floor into a wonderful living space. We used Mike's recommended plumber, electrician, glazier, flooring specialist and carpenter - all of whom were friendly, prompt and professional. The finish of the kitchen/diner is superb. Of course, on a large (ish) job like this, there would be the odd problem that needed solving and a fair amount of additional work beyond the original quote. At all stages, Mike worked with us to solve every issue...and reassure us when we needed reassuring. We contacted Inspired Projects because of the positive reviews on this site. We have not once regretted our decision, and can now add our own positive review. Loft conversion. Detailed budget when quoting for the job. No hidden extras. Work and team on site top quality. Stayed within agreed timescale for completion. I had an extension built in 2016 by the Inspired Projects team. They were always very friendly and professional. I was over the moon with the work they carried out. They will be starting work on my bathroom this summer. I cannot recommend them highly enough. Superb workmanship. Mike and his team did an absolutely outstanding job in transforming our home for us. We are really delighted with what he has achieved (it has excelled all our expectations) and we would strongly recommend Mike to anyone. The quality of the finish he produces is exceptional, he is a pleasure to work with and have in your home, and he operates the perfect balance of listening to what you want and delivering it, and also helping steer you in the right direction if you are uncertain about anything or want to hear the options. He is very creative so comes up with some great ideas and options you may not have thought of to get the best out of your space! 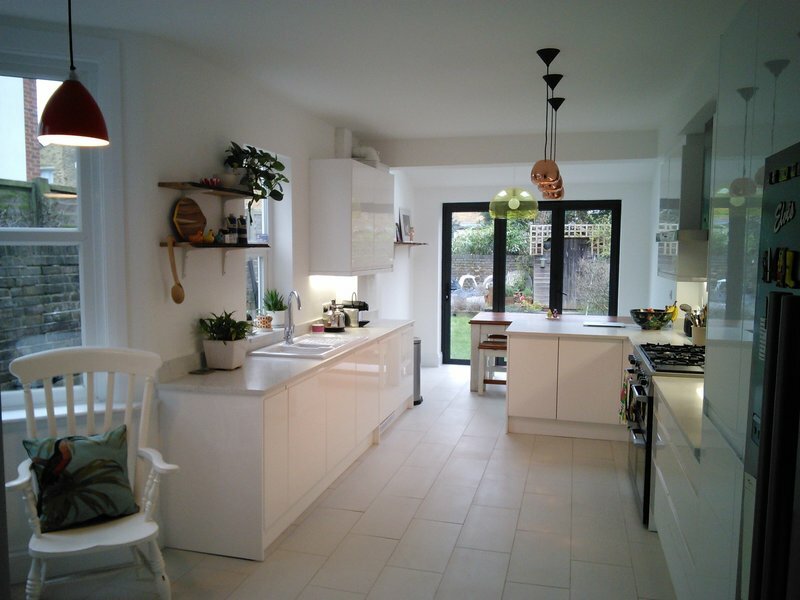 Ours was quite a major project in our Victorian terrace, including structural works to convert a very run down kitchen and bathroom into a kitchen-diner which flows onto the garden, and then creating a bathroom upstairs in a room previously used as a bedroom. The end results are really stunning - Mike has managed to transform some really quite dark, depressing spaces into light-filled family rooms which are a pleasure to be in. We can't quite believe it is the same house. From the very outset Mike's quote was the most detailed and fairest, and he is completely honest, trustworthy and reliable. His team go above and beyond to deliver the project quickly, looking after your home, and being so respectful in terms of causing the least disruption possible. At the root of it all, beyond Mike's exceptional skill & attention to detail, is the fact that he genuinely cares about delivering something excellent which is just as you want it; he & the team are willing to work tirelessly to give that to you. We have experience of quite a few projects and we believe that is something a bit special which is quite rare to find. We will definitely be calling on Mike for phase 2 in the house. We couldn't really entrust the job to anyone else now we know what Inspired Projects can achieve! We chose Mike to build our kitchen extension on the strength of positive comments on this website, and now it's finished we're glad we did. Mike has been a pleasure to work with. Nothing is too much trouble and we have enjoyed our regular discussions with him about managing the project. We have always been confident that he wanted to ensure we were happy with the end result. This was quite an ambitious project for us, requiring co-ordination of inputs of labour and materials from a number of sources, but Mike has kept it under control and seen it through to a successful conclusion. Ammi and his team did a great job on the main build and their bricklaying and pointing in particular has been much admired. In terms of value for money, I don't think we could have done better than engage Mike and his team at Inspired Projects. Mike and his team built us a new kitchen extension and utility room. This was a fairly major operation, involving extending the area of the house to the back and side and opening up the breakfast room, plus of course installing plumbing and electrics (including underfloor heating). Mike was a tower of strength throughout, always available to discuss any issues and making sure we were not left waiting for things to happen. He kept us fully in the picture on costs and we ended up spending less than we had expected. Two years on, we remain entirely happy with the quality of the work undertaken. Mike and his team (mainly Dave and Steve) recently fitted a new kitchen for us. Not only were they a pleasure to have in the house, but they clearly care about doing a good job and the quality of the work was excellent. We had no qualms about honesty, trustworthiness or professionalism and will call upon Mike in the future when another project arises.